FULTON, NY – Paulette Ferington, 63, of Volney died Wednesday June 6, 2012, at Oswego Hospital, Oswego. She was born in Oswego to the late Wilma (Richardson) and Robert Roy. Mrs. Ferington had been a resident of Volney for 15 years. 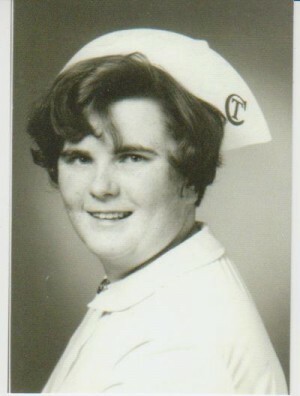 She worked as a licensed practical nurse. She retired after 20-plus years of service with A.L. Lee Memorial Hospital, Fulton. Mrs. Ferington enjoyed working with arts and crafts and she avidly crocheted. She is survived by her longtime companion, Lance Wilcox of Volney; four children, Isha Matthews of Syracuse, Jasen Matthews of Syracuse, Brandie (Charles) Hudson of Granby and Nathan Wilcox of Volney; four grandchildren, Amara Matthews, Madison Matthews, Jasen Matthews Jr. and Marleah Hudson. Calling hours will be held 9 to 11 a.m. Monday in the Sugar Funeral Home, 224 W. Second St. S., Fulton. A committal service with burial will be conducted 9 a.m. Thursday with Rev. Morisette officiating at St. Mary’s Cemetery, Fulton.